Santa Ana, CA (Restaurant News Release) While only a fraction of U.S. businesses earn a spot on the annual Inc. 5000, considered the most prestigious ranking of the nation’s fastest-growing private companies, Nékter Juice Bar has achieved this milestone honor for the fourth consecutive year with a three-year growth rate of 396 percent. Founded just eight years ago, Nékter Juice Bar now counts nearly 120 restaurants across the country, with 175 more in development on its path to 425 restaurants in 2020. According to Inc. magazine, the Inc. 5000 list represents a unique look at the most successful companies within the American economy’s most dynamic segment— its independent small businesses. As such, Nékter Juice Bar is widely considered a frontrunner in the modern juice bar experience, bringing ingredient integrity and consumer trust back to a category that had veered away from an authentically healthy dining experience. Menu innovation rooted in an experienced and skilled research and development team, breakthrough and impactful marketing programs supported by robust mobile and digital platforms, a new national Farm-to-Cup sourcing and distribution program, and the highest Average Unit Volume (AUV) in its category combine to make Nékter one of the fastest-growing juice bar brands. Steve Schulze, co-founder and CEO, Nékter Juice Bar. Nékter’s menu of freshly made juices, Superfood smoothies and acai bowls is designed to optimize overall health and wellness by feeding the body with essential vitamins and nutrients to help increase energy, boost immunity and metabolism, cleanse and detoxify, and much more. The menu can be customized to suit individual diet or lifestyle preferences, such as vegan, vegetarian, gluten-free, low-fat, and low-sugar. Nékter also offers a variety of Grab N’ Go healthy snacks and cold-pressed bottled juices in a variety of flavors, plus Skoop, a decadent, dairy-free, gluten-free, and 100 percent vegan frozen treat made fresh daily. Founded in 2010, Southern California-based Nékter Juice Bar is the category leader and pioneer of the modern juice bar experience with a freshly made, clean, nutrient-rich and delicious menu of juices, smoothies, acai bowls, and healthy snacks. With an unwavering commitment to ingredient transparency, authenticity and innovation, Nékter Juice Bar is rooted in the fundamental philosophy that “healthy” can taste great, be easily accessible, and be affordable too. 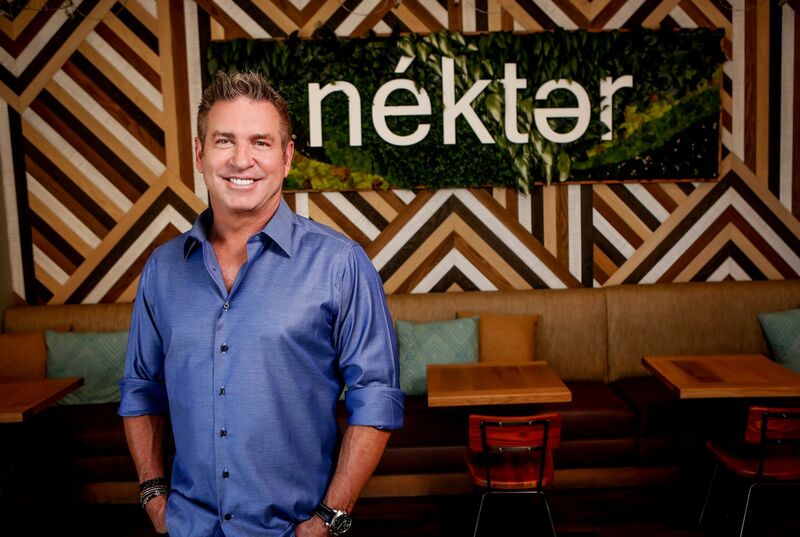 Now with nearly 120 restaurants in the United States, and 175 more in development, Nékter plans to grow to 425 company- and franchise-owned restaurants by 2020. Recent awards include: the 2018 “Best Buy in Franchising” Zor award from Franchise Times; the 2016 “Hot Concept” award and the 2017 “Next 20” Brand to Watch by Nation’s Restaurant News; #217 on Entrepreneur Magazine’s Franchise 500®; and #334 on Inc. Magazine’s 5000 Fastest-Growing Private Company List. Nékter continues to seek entrepreneurs who want to bring The Nékter Life to more communities around the United States and beyond. For more information, please visit www.nekterjuicebar.com or https://nekterjuicebar.com/franchise.